Delicious, mindless fun filled with some empty calories. 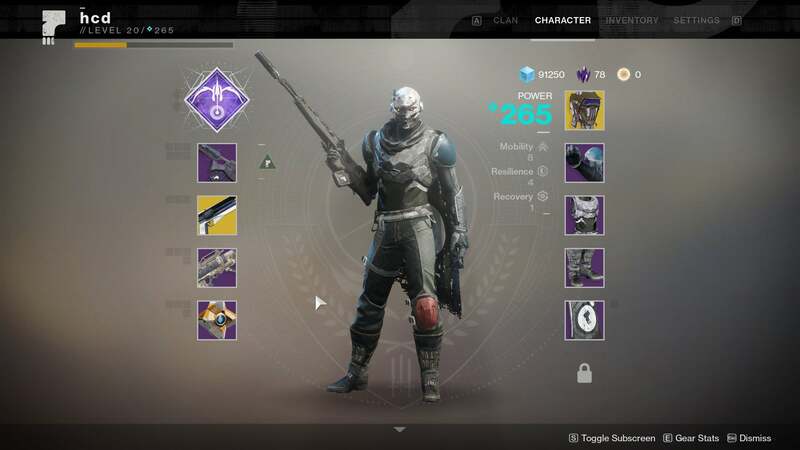 This past weekend I finished Destiny 2’s campaign for the third time. I’ve hit the (soft) level cap with all three classes, collected around a dozen exotic weapons, completed most of the Strikes, played some player-versus-player Crucible matches, shot thousands of enemies, killed off Emperor Calus to complete the raid (twice), and even spent two hours running up and down a hallway to exploit some bad code on Bungie’s part. I’m still not sure why Destiny 2 keeps me coming back for more, the digital equivalent of an irresistible bag of chips. But I’ve officially run out of reasons to procrastinate writing this review—just in time for the first expansion to drop next week. Yes, next week. 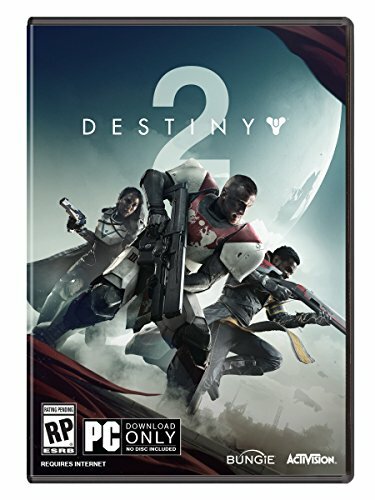 Despite Destiny 2 only releasing a month ago on PC, the Curse of Osiris DLC will soon be upon us as part of a simultaneous release with the longer-lived console versions of the game. It’s timed alongside an update for the base game in which Bungie’s basically promised the world. It’s tricky sometimes to review video games nowadays. No sooner have you pinned down their structure than everything changes. 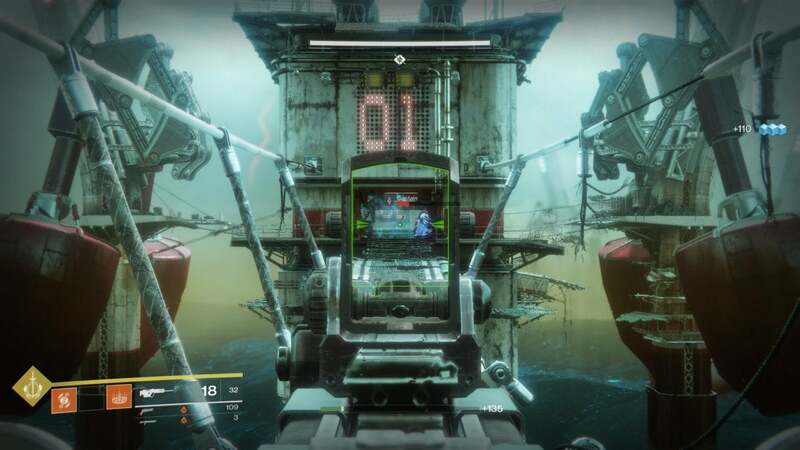 But even in that environment, reviewing Destiny 2 is a bit like trying to hit a moving target while riding a train in the opposite direction. 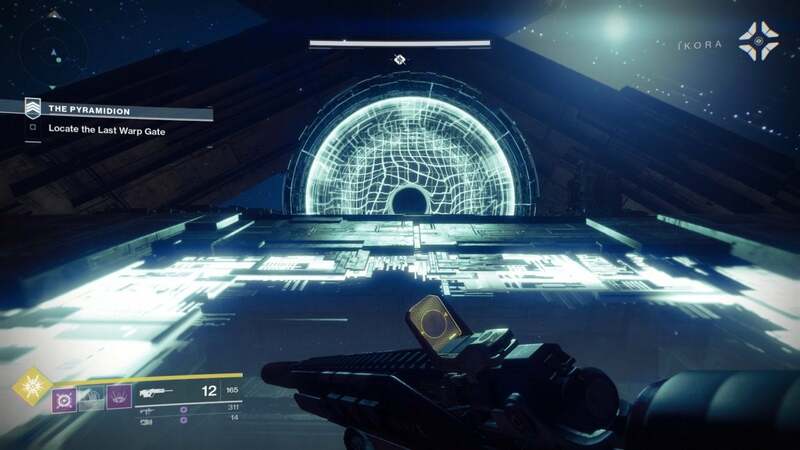 Making the whole endeavor doubly intimidating is Destiny’s reliance on jargon—if you understood even half the opening paragraph, chances are you already played Destiny 2. It’s that type of game. But I’ll do my best regardless. 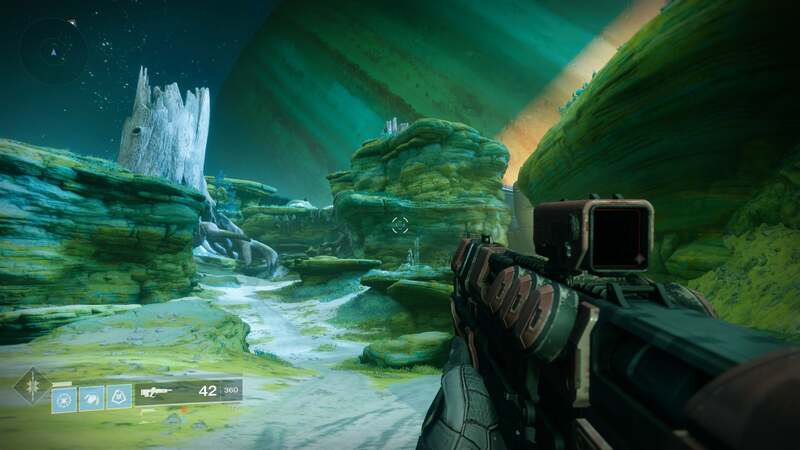 Starting with the basics: Destiny is a shooter. There are MMO elements running parallel, and we’ll get to those, but at the end of the day it’s a shooter. And it’s very good at it. Plenty of video games have guns. Few have guns that roar like Destiny 2’s revolvers, or fliiit like Destiny 2 ’s assault rifles, or tch-tch-tch like Destiny 2’s semi-autos. Doom is probably the only other game in recent memory to imbue firearms with such terrifying power. Maybe Battlefield. Maybe. Add in a variety of mobility options (pseudo-jetpacks, triple jump) and you’ve got an excellent core. Seriously, I’ve spent hours compulsively playing Destiny 2 even with nothing much to do, just tooling around the open-world areas shooting random enemies. The moment-to-moment action feels that damned good. Which I guess brings me to the next point: Destiny 2 is sort of a singleplayer shooter, but not really. There’s a campaign, and from what I’ve heard the story this time around is more coherent than the previous game. But...well, let’s just say the original Destiny must have been terrible. The opening is solid. We’ve covered it a few times now, both in our E3 preview and our initial review impressions. Basically, Earth is invaded by an alien race known as the Cabal—specifically a military subset known as the Red Legion. They steal your powers away and drive humanity into exile. It’s evocative. And then it goes nowhere. What’s frustrating about Destiny 2’s campaign is that it should be great. It’s space opera on a grand scale, with half a dozen alien races, one of which (“The Traveler”) is literally the size of a small moon. There’s a mysterious magical energy called “Light” that imbues you with incredible powers, and a spaceship that literally uses Mercury for fuel. Not the metal mercury, lower-case, but the planet Mercury, capitalized. It grinds Mercury to dust in order to—get this—blow up the sun. I. Should. Be. Jumping. Out. Of. My. Seat. Come on—a planet-eating ship that’s preparing to blow up the sun! That’s amazing! And it is, sort of. Destiny 2 is great at dumping you into memorable set piece moments. Somehow none of it feels as impactful as it should though. Maybe I just lack knowledge of the Destiny universe, but enemies are mostly faceless and interchangeable, even when they’re different alien civilizations entirely. And what little plot is spoon fed to you often comes across as sterile and lifeless, with plot twists materializing out of thin air by characters you’ve barely met and will soon abandon. There’s never any real tension, no stakes to it. You and your little band of heroes make a plan, you execute on the plan, the plan works. Rinse and repeat for seven or eight hours. To add insult to injury, you have to endure the campaign for each character you make to unlock all the locations and activities. 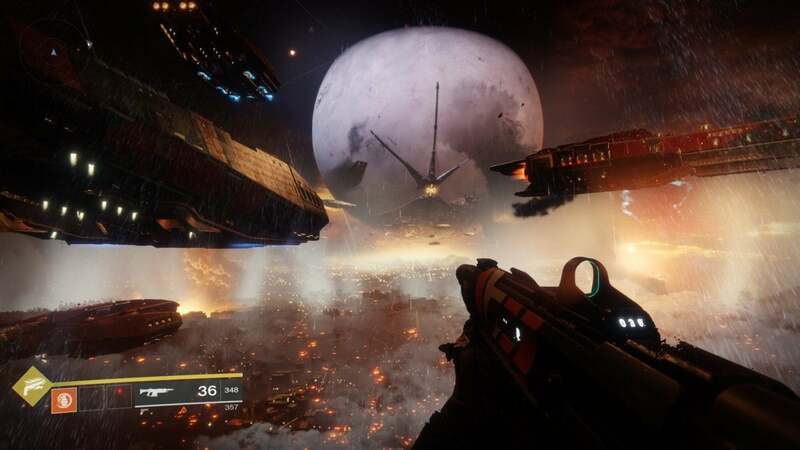 Destiny has three main classes: Warlock, Titan, and Hunter. A fair number of people will undoubtedly pick one and stick to it, but this being a pseudo-MMO, those who want to be more versatile in group events will end up running two or even all three classes, and doing so involves grinding through the same dozen or so bland missions again. 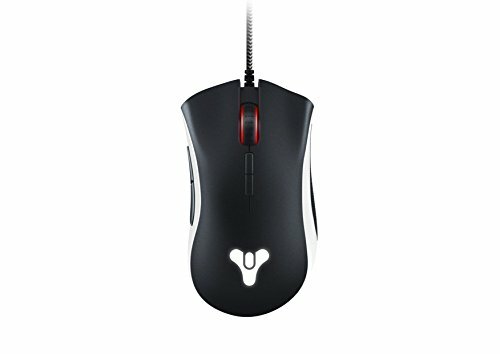 So let’s talk about the pseudo-MMO aspects of Destiny 2 because the campaign’s really not worth any more words. It exists, it’s a bit bloated even the first time through, and any further runs involve mashing the Escape key at every cutscene. The end game revolves around driving this number up. I’ll skimp on the details here, but basically: Any activity you partake in has a chance to drive your Power Level up to 265 by rewarding you with higher-power gear. 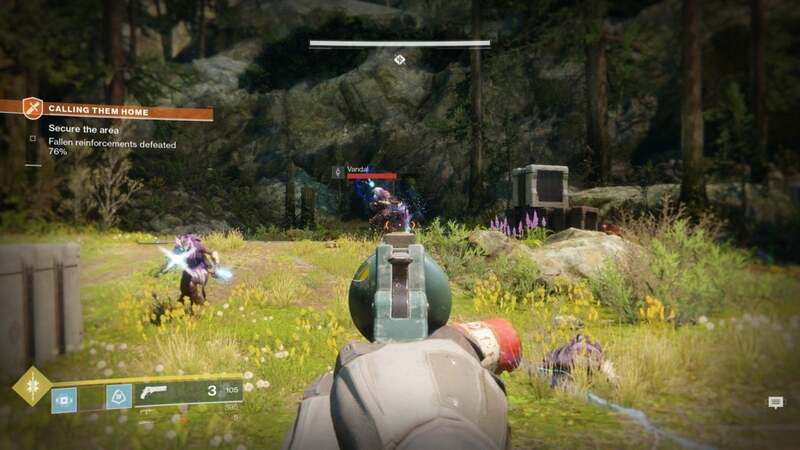 You can join with other players in one of the open-world areas to take down a powerful enemy or hold off waves of invaders—these “Public Events” reward loot up to a certain level. You can play multiplayer matches, with each match granting loot too. Or complete weekly challenges. The choice is yours, and it’s this grind from 200 to 265 that feels most satisfying—there’s a lot for you to tackle, and it isn’t tied to the lackluster campaign. Past level 265 you enter the real end-game and it becomes much, much harder to get loot. At this point you’ll find yourself doing only select activities, mostly ones that are refreshed on a weekly basis as those are the only ones that consistently dole out decent gear. 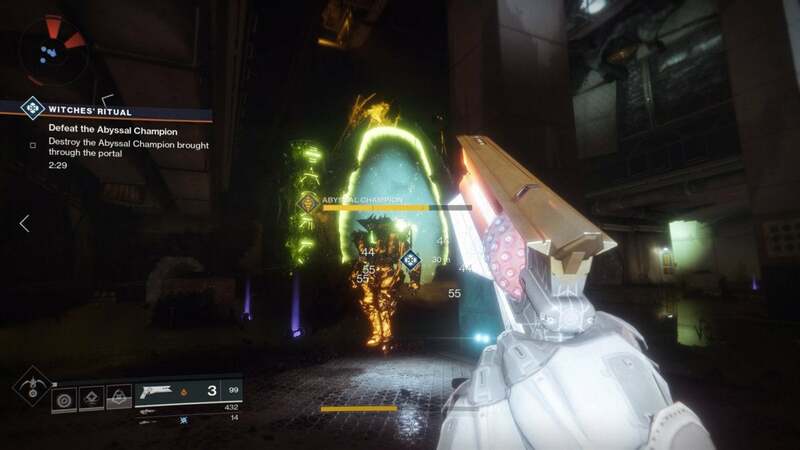 The Leviathan raid, a six-person co-op event that takes an hour or two even when you know what you’re doing, is one such event. 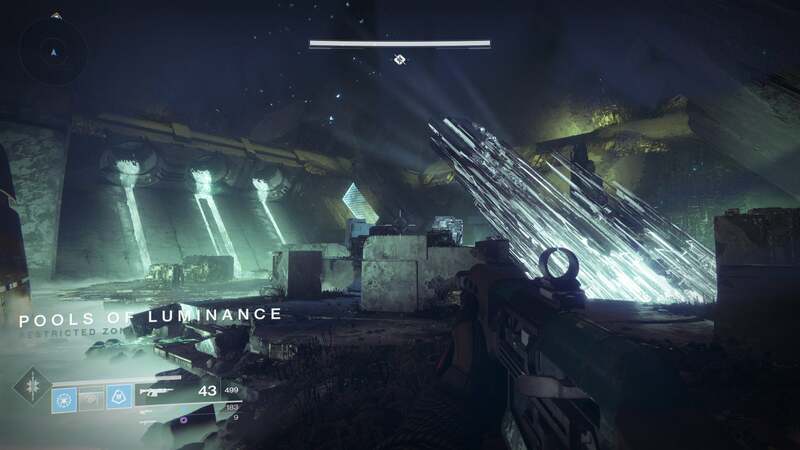 Ditto Nightfall Strikes, which are smaller co-op instances where you have to blitz through rooms of enemies and take down a powerful boss at the end. Think of it like going to a diner and there’s parsley on your plate—you’re not supposed to eat it. It’s just there so someone can pretend you’ve consumed something high-class instead of Grade B hamburger with some frozen fries. That’s the “story” in the late-game. Destiny 2 is junk food. It really is. If I’ve procrastinated writing this review, it’s because I’ve never felt more conflicted about a game. It’s oftentimes not very good. Player-versus-player modes are complete trash, for instance—horribly balanced, with what feels like pretty middling netcode and a whole host of baffling decisions (like defaulting team chat to “Off”). Actually, chat is a mode-spanning issue, with players unable to even talk to each other in group hubs. And yet I’ve put a ton of hours into Destiny 2 PvP this past week thanks to a limited-time “Iron Banner” event. My reward? A helmet with horns coming out of the side, and also some armor with wolves on the shoulders. I was excited. End game content is lacking in general, actually. The game does open up substantially after you finish the campaign, but as I said it then ratchets back down a few hours later once most activities stop being rewarding. The Leviathan raid is the closest you’ll get to a proper “storyline” post-campaign, and there are some jaw-dropping moments your first time through, but if you run it weekly you’ll soon tire of the same four rooms on rotation. I expect that like the original Destiny, it’ll take Destiny 2 probably a year to hit its stride—though next week’s expansion and December’s quality of life updates might help. Or maybe it won’t. It doesn’t matter. I’ll probably be there regardless, because that core, the part where you click and your gun fires and then the numbers go up—that part of Destiny 2 is so damn satisfying. Mindless, for sure, but I keep coming back to it. Night after night I wrap up playing “Serious Video Games” or whatever and then I end up staring at Battle.net, thinking about popping open Destiny 2 for a bit. 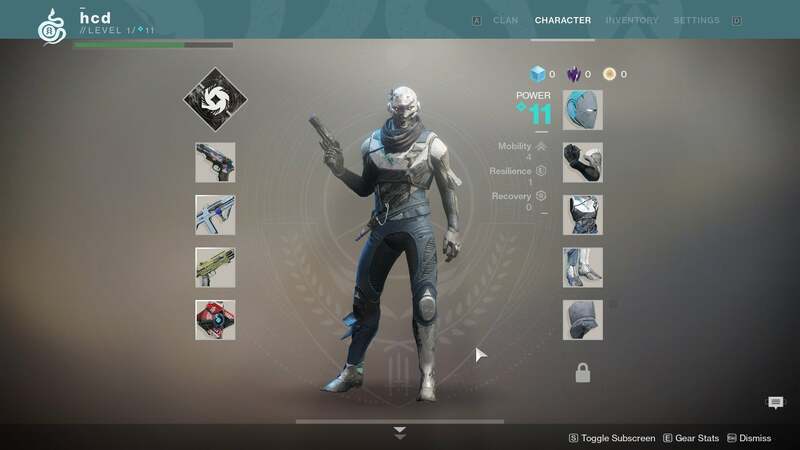 I’ve sunk a stupid number of hours into Destiny 2. A lot of it was done while listening to podcasts or even watching TV on my second monitor—it’s that type of game, and demands precisely that much attention (which is to say: often less than half). I know that, and yet I keep coming back. And maybe that’s really why I’ve put off writing this review so long. Normally I’d like you to come away from a review with some insight, some inkling of why I’d recommend a game or (probably more often) not recommend it. Destiny 2 has me baffled though. I’m spinning my wheels in it, grinding my way to 305 before next week’s expansion, and I don’t really know why. Except that the shooting part is great. And the wolf armor is cool. That’s kept me entertained for upwards of 60 hours now, mindless though it might be. Destiny 2 has mastered the “Filling Up Bars” psychology of game design, even if those bars aren’t very interesting once filled. It’s gaming junk food. Not exactly a glimpse into some shrouded corner of the human condition, but it’ll have to do. Bungie now offers an expansive free trial with the first two planets and access to the Quickplay playlist in Crucible multiplayer so you can see if Destiny 2 meets your tastes, too. 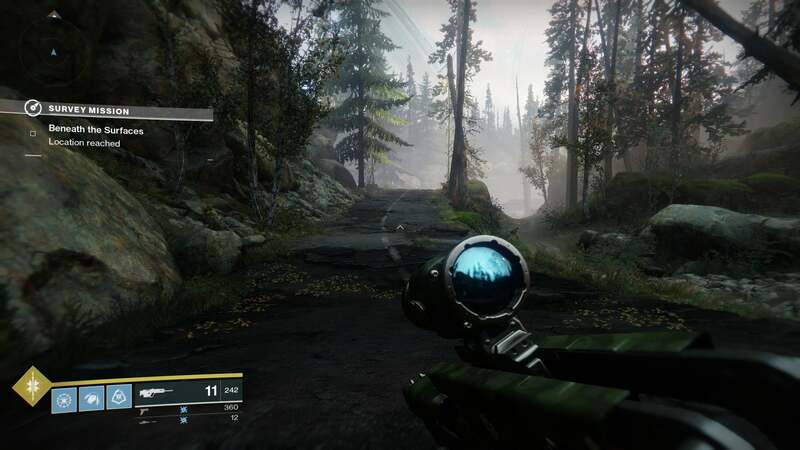 Destiny 2 is mechanically a fantastic shooter, but a threadbare plot and some odd choices after the campaign wraps up make it more of a foundation to build on. Expect it to take a year for Bungie to polish this one up again. Shooting. Every. Gun. Is. Excellent.